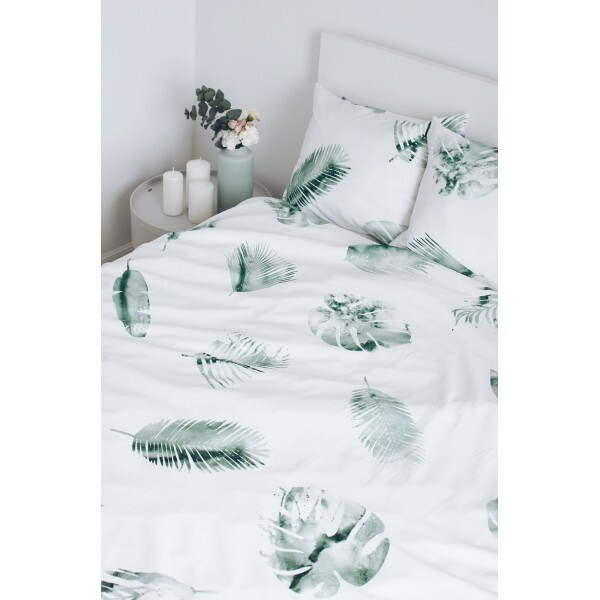 Bedding in the pattern of tropical leaves arose from longing for nature and exotic travels. 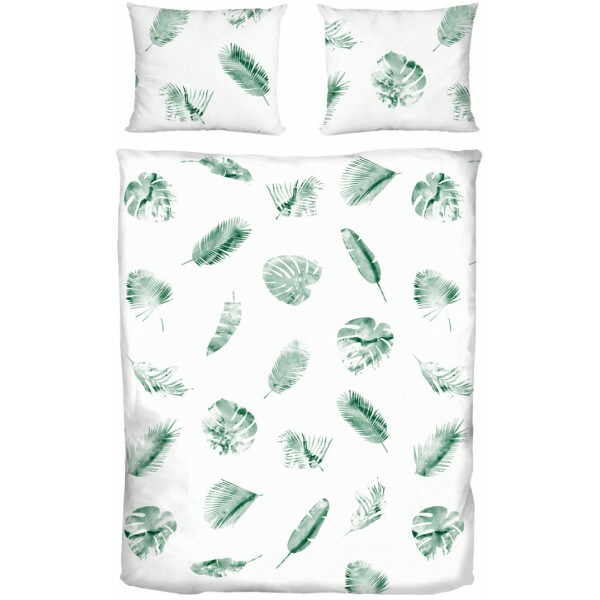 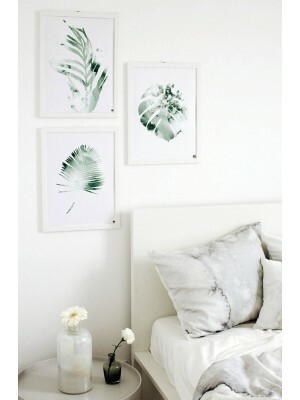 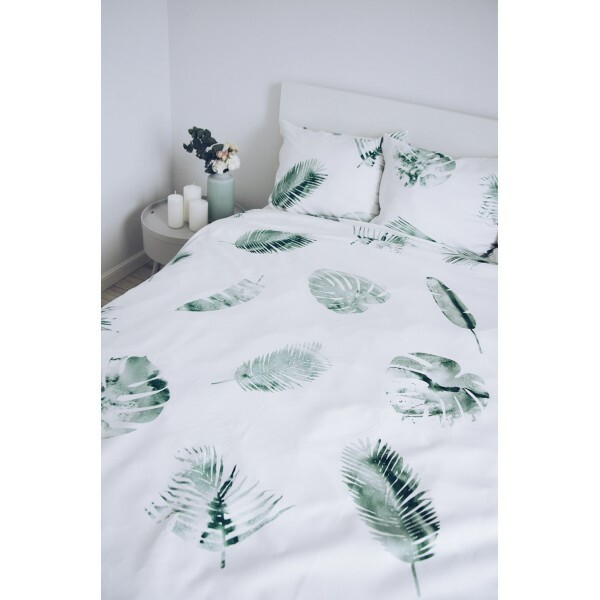 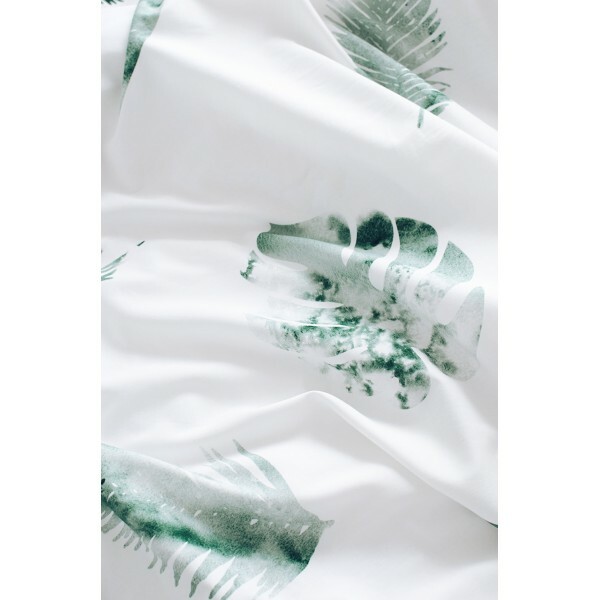 The cotton bedding abounds with watercolor palms, monster and banana leaves. 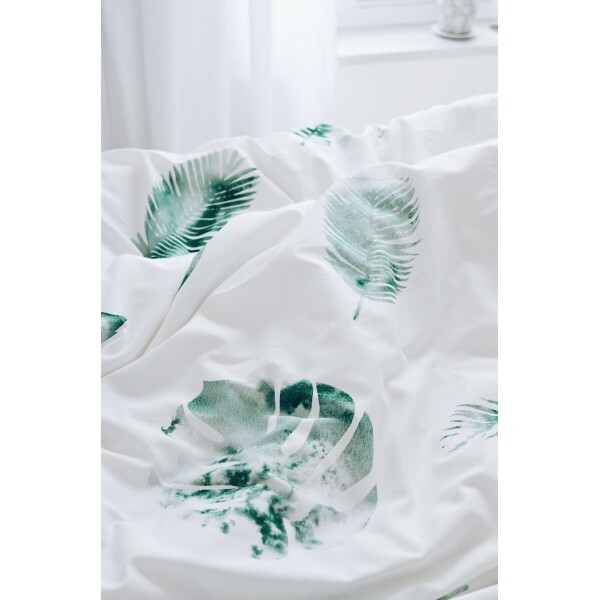 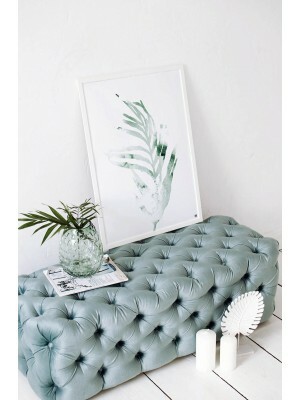 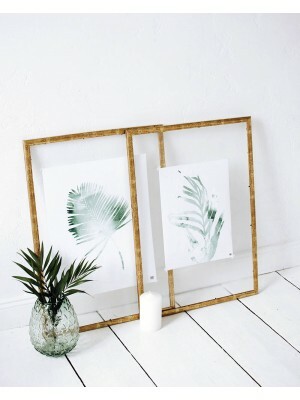 Tropical motifs have already settled in our interiors and look great in the bedroom. 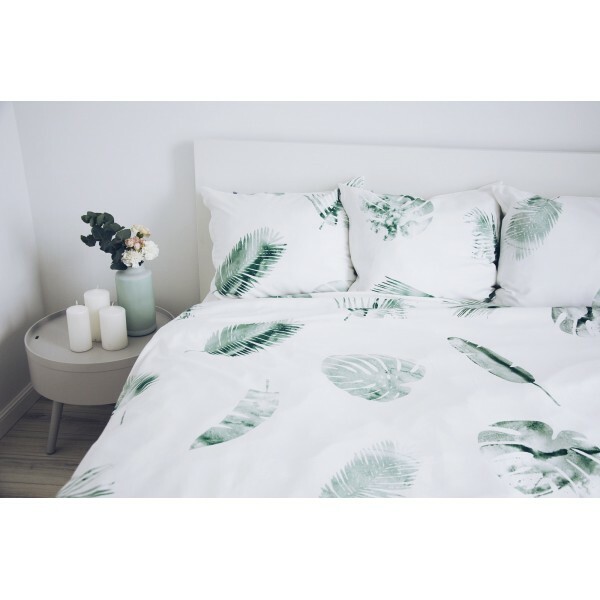 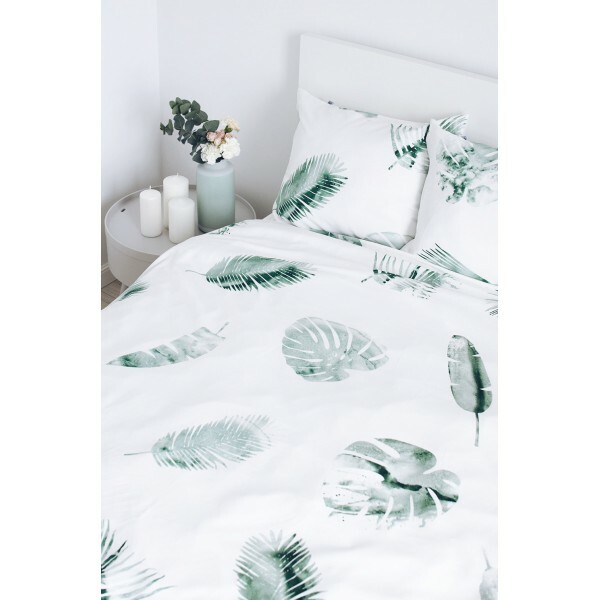 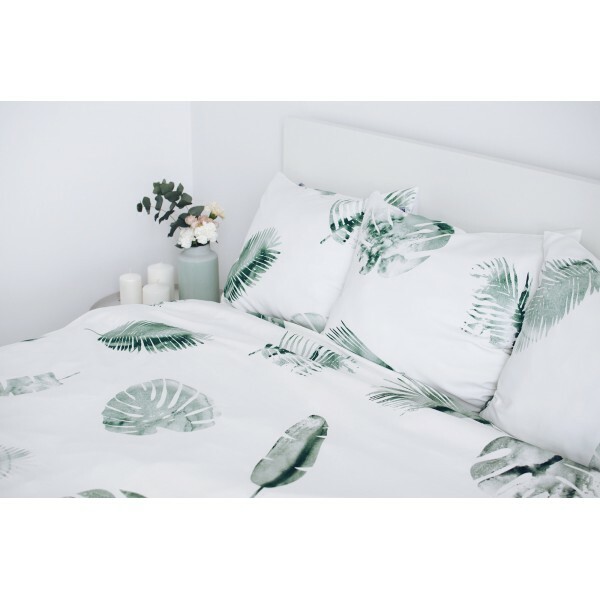 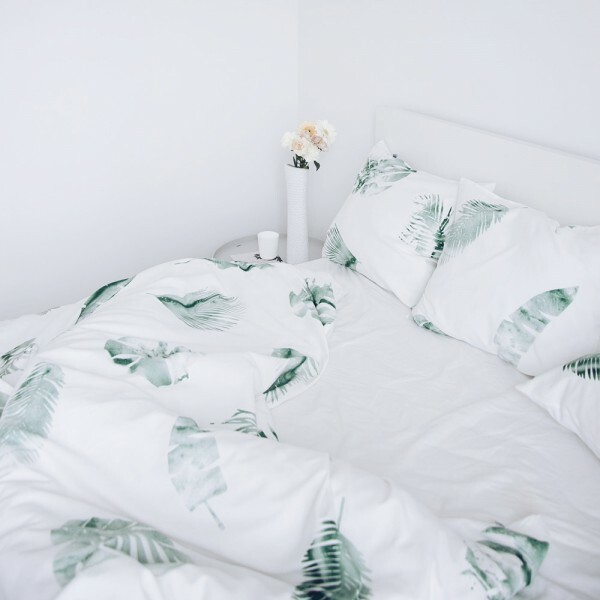 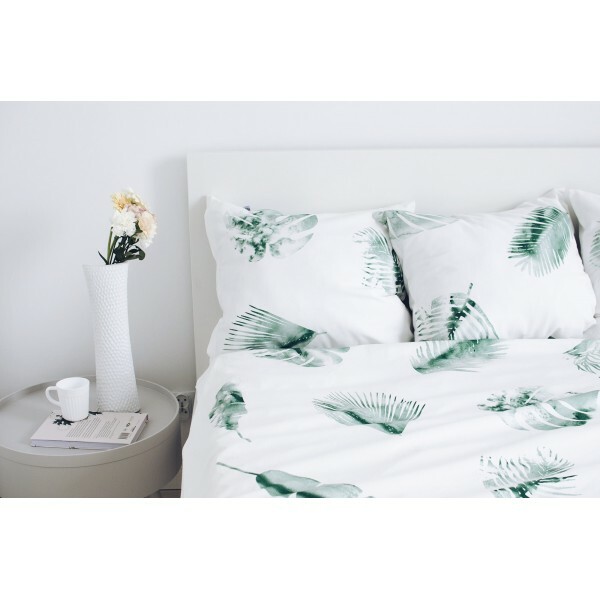 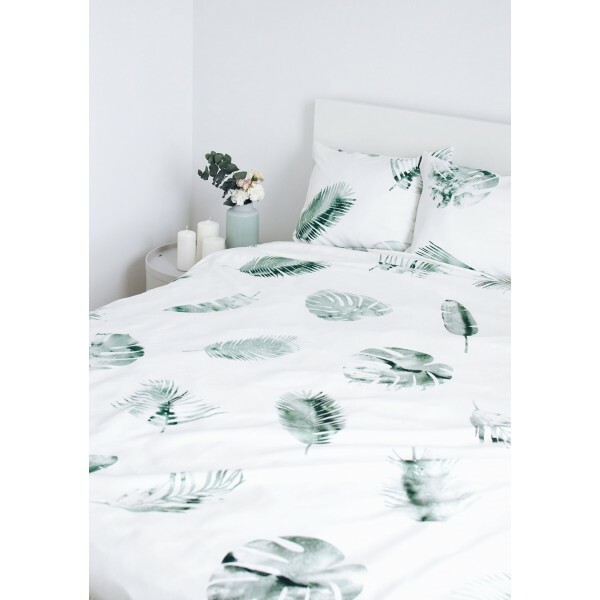 Bedding in exotic leaves will appeal not only to people who love long-distance travel, but also to all those who love to surround themselves with greenery at home. 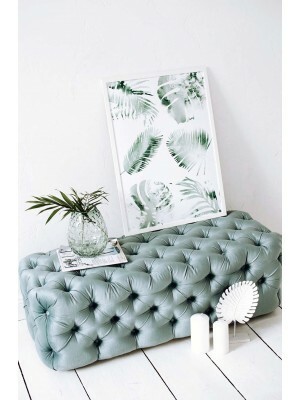 Do you want to create an urban jungle in your interior? 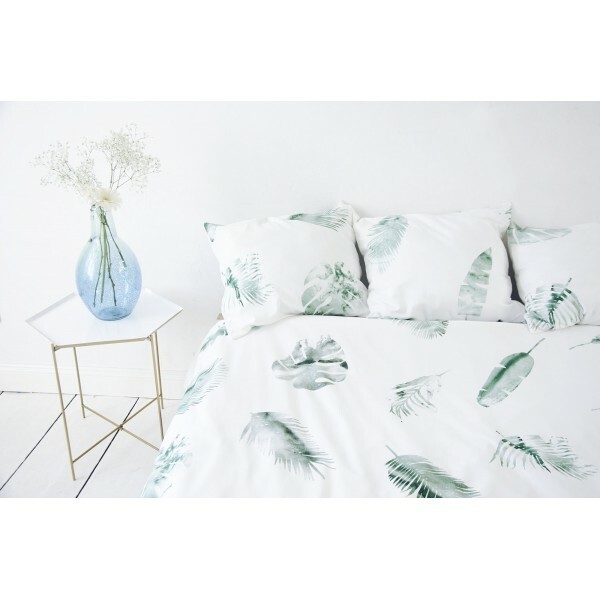 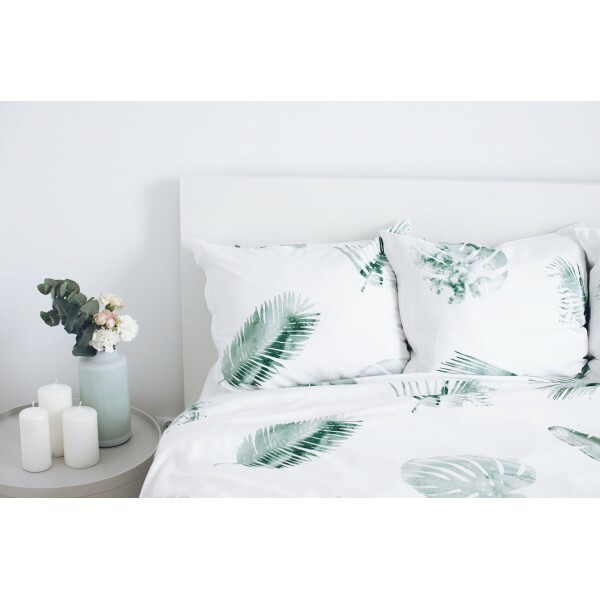 Bedding with a tropical pattern will certainly bring a touch of exoticism to your bedroom.